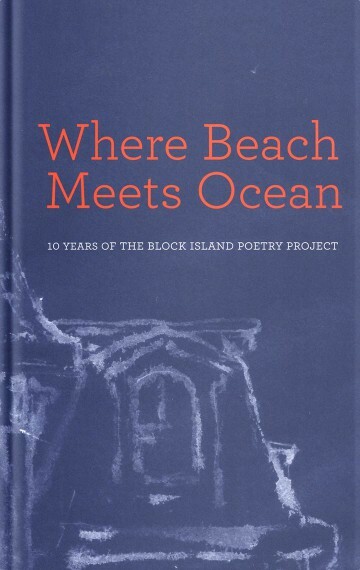 10 years of the Block Island Poetry Project, Poems and commentary. This book celebrates 10 years of poetry on the island. The founder of the BIPP, Lisa Starr has brought together in this book many poets that are newly published and those that have been inspiring us for years; Billy Collins, Mary Oliver, Coleman Barks and Noami Shihab Nye, Marie Harris, to just name a few. A very special addition are the drawings by renowned artist Sandra Swan. coyotes erupted in a long and complicated riff of howls & barks & yips and other noises that sounded for all the world like one of those manic passages Mingus used to let loose into the smoky dark, which put me in mind of long ago subterranean Village bards and then, by way of the brain’s lovely bent toward memory & association, of a horse carcass–coyote bait–in Jack and Judy’s side yard on their ranch in the Canadian Rockies, with white chickens walking in an out of an equine rib cage shaped just like a double bass.